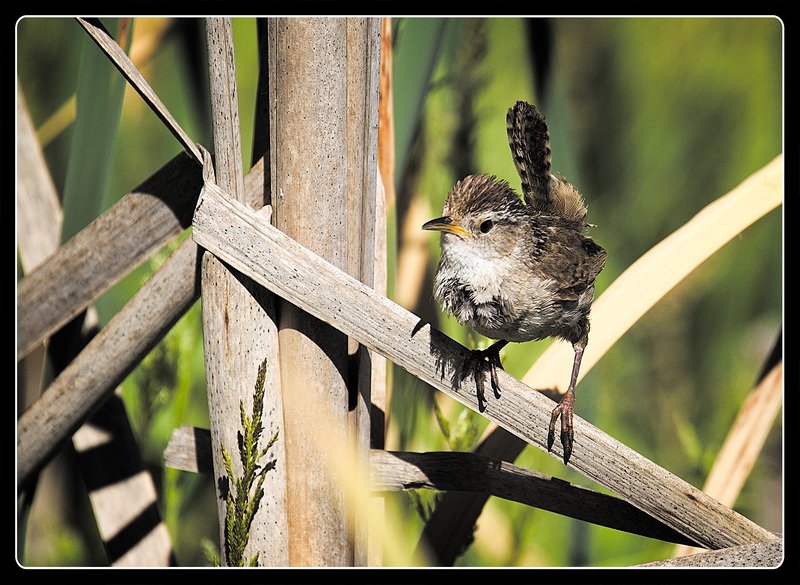 Some readers may remember me noting that several nests I had pictured a Marsh Wren building in the Spring had been wiped out by a high tide just about the time that he should have attracted a mate. 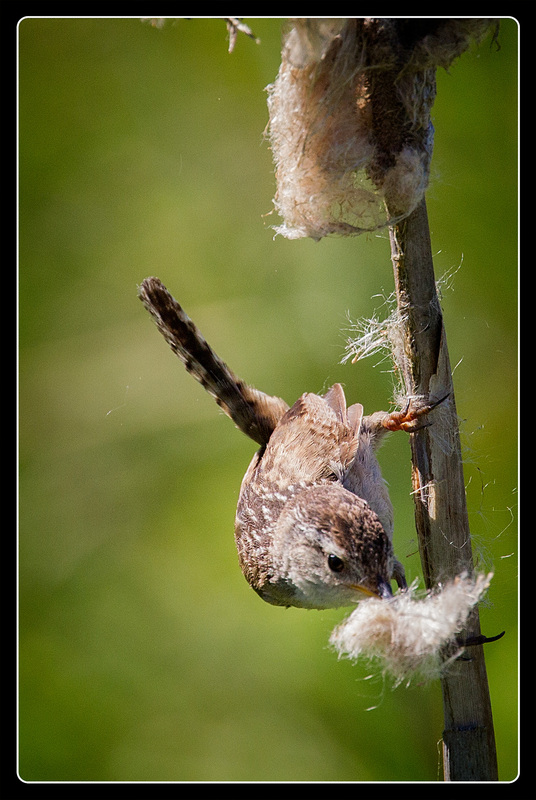 I figured after that loss that the wren would simply move on as it would be too late to attract a mate by the time he had rebuilt the nests. pausing every so often to advertise the newly available estates. but it does make for a more interesting shot, so I’m not about to complain. Unfortunately, in Nature timing is probably more important than persistence because I never saw any signs that he had attracted a mate or that there were any young ones about in later visits. Aww, he’s cute. I love his persistence. Such a sad, but lovely little narrative. Nice work, Loren. 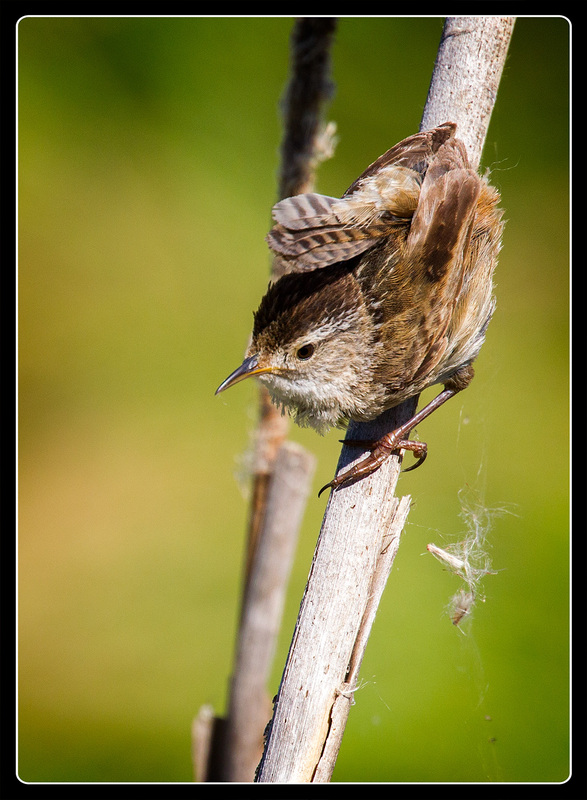 Cheers to the Wren. I wish him luck for next year. He’ll make a wonderful dad! Nice way to think about it, robin. I just admire that kind of persistence in anything. I, like you, admire persistence… maybe because it’s not one of my qualities! 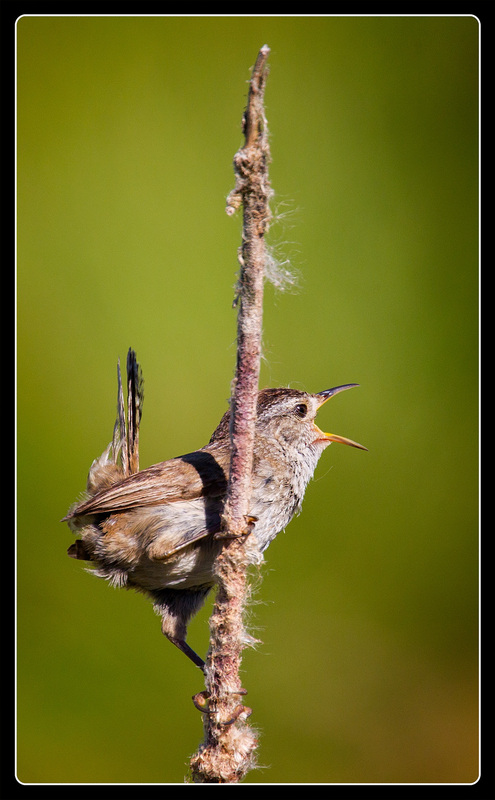 But, after reading your post and thinking about it, I concluded that maybe persistence at times is just a euphemism for rigid, inflexible behavior… After all, “to describe is to prescribe”… Its persistence didn’t do the wren any good. What would have happened if he had moved on, like you suggest?